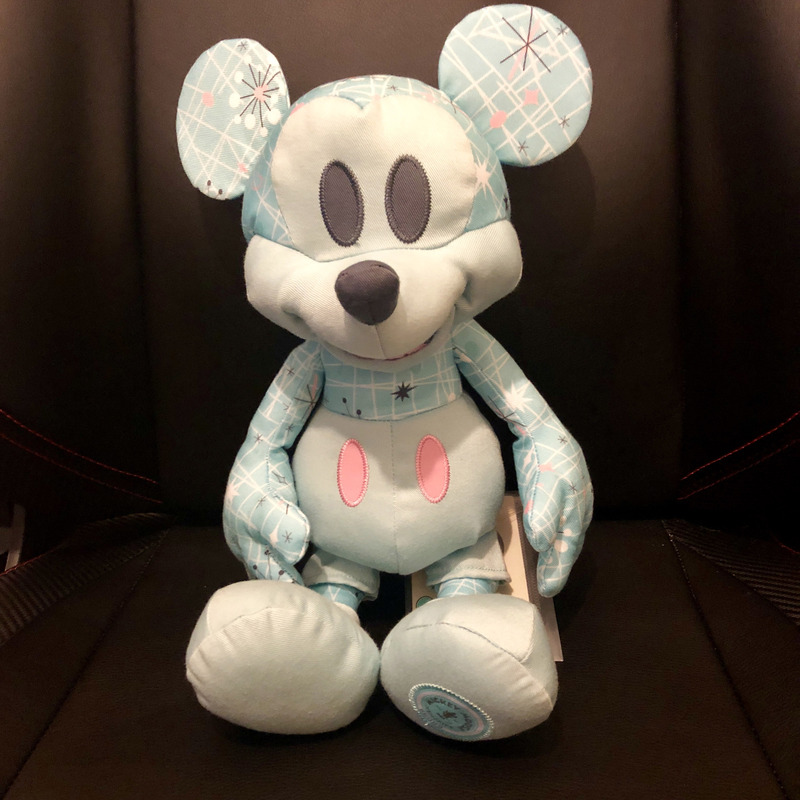 Here is our review of the Mickey Mouse Memories plush toy that was released in May. Number 5 of the 12 Mickey Memories collection is here, and this month he's blue! Disney are still enforcing the one per person/two per household policy, but these plush toys are still selling out in record time. This month was made even worse when their website was crashing throughout the process. I am one of the very few fortunate ones who managed to get through and purchase one. Looking over the usual backlash on social media, there seemed to be less of it this time. Perhaps some people have just given up? May's edition of Mickey Memories is said to blast into the Space Age with the 1950s series style plush. He's a very bright teal blue colour with rose gold accents. I would say this is my least favourite so far (but that's in no way saying this plush is bad). I highly admire all the designs and think they're an incredibly high quality collection at a good price point (just bad supply issues). I really like the touch and feel of the faux leather material, even if its only partial, of the other plushes. This one is all material, and its quite rough. It wouldn't be as nice to snuggle in bed like February's would be, however I wouldn't dream of doing such a thing. Even though it's bottom of my list so far (let's face it, even with a perfect collection, one will always be sat at the bottom), I still like it and look forward to June's hippie 1960's one. Of course the Plush has long sold out, but the pins and mug are still available.